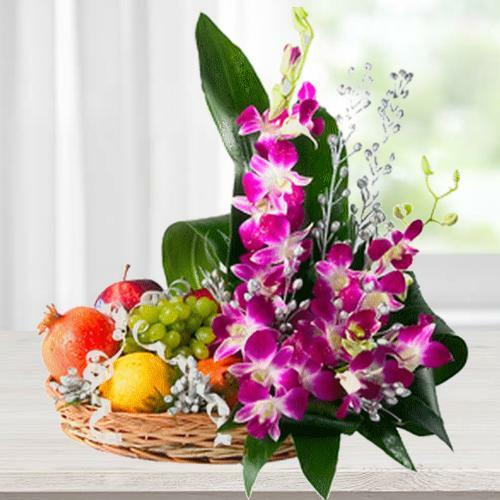 Try out something special by sending this online gift of Pretty Flowers and 2 Kg. Fresh Fruits in Bamboo Basket to your near and dear ones. Compositions of this gift are follows as Grapes, Oranges, Pomegranates etc.